Vanity is a gift and a curse. Vanity will drive us to apply ten, give or take, products to our skin each evening in pursuit of a dewy, youthful appearance. 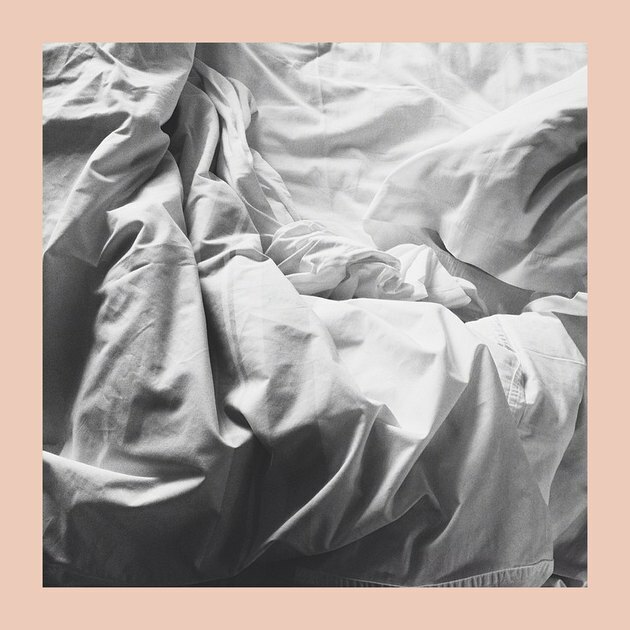 But vanity will also take a toll on our sheets, when we lay our soon-to-be dewy faces on our soon-to-be-serum-stained pillowcases. It's a problem many of us struggle with: The products we use to make ourselves look beautiful are the same products that make our bedding look a danged mess! But with a few tweaks to your laundry routine, you can have the best of both worlds — lovely skin AND lovely sheets. Here's how. I don't know what they put in Tide Ultra Stain Release — unicorn tears maybe? — but the stuff might as well be made of magic, that's how good it is at eliminating stains. 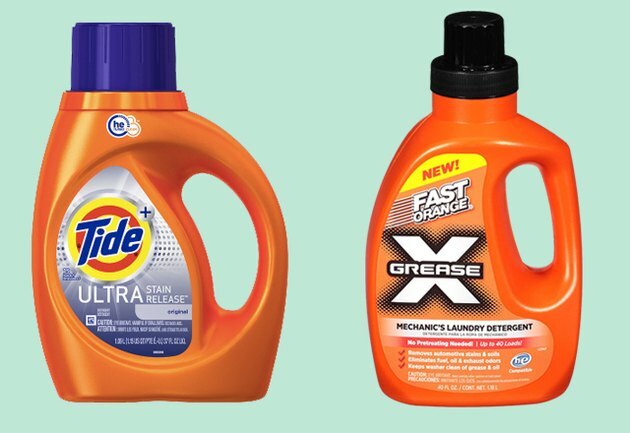 If your sheets aren't coming out of the wash as clean as you might like, consider switching to this Tide formula that, as its name implies, is especially great at stain removal. You can also take a page out of the mechanic's playbook and use Fast Orange Grease X Mechanic's Laundry Detergent. Most of the soiling caused by our skincare products, especially all those serums and moisturizers, fall into the grease stain category — you see now why I suggested a laundry detergent called Grease X! Grease stains are tricky animals, but they can be handled quite, um, handily if you know what you're doing. 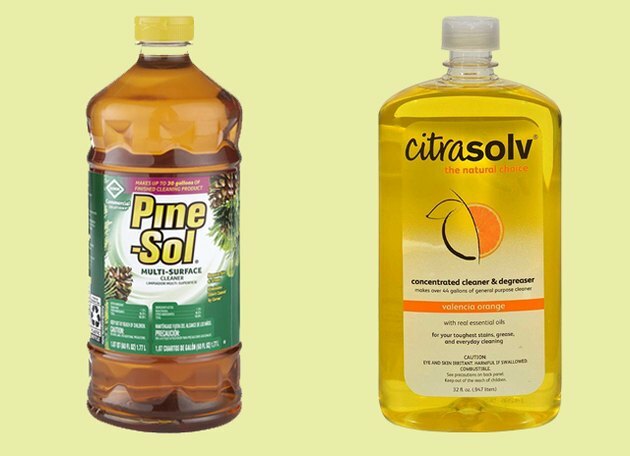 This is weird but true: A lot of products that we think of more for household cleaning and less for laundry purposes are great at pretreating grease stains, like Pine-Sol. Yup, Pine-Sol! To use it for treating a grease stain, dab a small amount of it directly on the soiled area just prior to washing. Similarly, degreasers like Citrasolv that can be used for, say, cleaning an oily vent hood in the kitchen can do double duty in the laundry room. One especially tricky thing about grease stains is this: They can be hard to spot if they don't come out in the wash because when fabric is wet, it can obscure a lingering grease stain. Even worse, the heat from the dryer will set those hidden stains in, and you might find yourself in despair when they come out still spotted with remnants of CeraVe. If you've got a set of stained sheets or pillowcases that have been through several turns in the dryer, hope is not lost: Try soaking them overnight in a solution of hot water and OxiClean, then laundering as usual. And an old fashioned product called Fels-Naptha, which is a bar of laundry soap, can be used in conjunction with a toothbrush — not the one that you use in your mouth, please! — to scrub away very old or set-in stains. Some fabrics hold onto stains more than others, and so, if you're a person who loves their 10-step skincare routine, it's worth taking fabric content into account when purchasing a new sheet set. Cotton-poly blends are the best choice for ease of wash, whereas microfiber tends to hold onto stubborn stains. Another factor to consider is the color of the sheets, especially if you use acne treatments that contain benzoyl peroxide or other ingredients that will have a bleaching effect on darker hued sheets. If you do use such a product, opt for white sheets (and towels too!) because color loss isn't reversible unless you're up for re-dying your pillowcases.